People always look for the best in every field and it is very understandable. Similar it is when comes to Tablet and Laptop. The answer, however, depends on individuals as each person has their own ways of defining the so-called “perfect”. Though the word often describes the most extreme characteristics and potential serving each purpose, the one with high balance or well-rounded, such as Microsoft Surface Pro 3, might be ideal for many users. We, therefore, invite you to tag along with our little journey of uncovering this Tablet-Laptop hybrid. The face behind this curtain may be the one you are looking for all along. Years after the first attempt of merging Tablet and Laptop, Microsoft has done a great job improving Surface series since that time. Microsoft Surface Pro 3 comes with a daring pioneer screen aspect of 3:2 ratio with 12 inch HD 2160 x 1440 resolution which proves to be the solution covering more detail and fitting more into users’ sight. The touchscreen slide smoothly under your fingertip helping you navigate quickly through programs of your desire. Although the Type Cover is sold separately, it seems like a mandatory part that you need and it only costs you just a small addition. With the touch-up, Microsoft Surface Pro 3 can’t be any better at switching between kickstand and regular keyboard position. Taking less than a second and a small flick, you can change between the two effortlessly and enjoy playing games while typing a report for your next presentation. 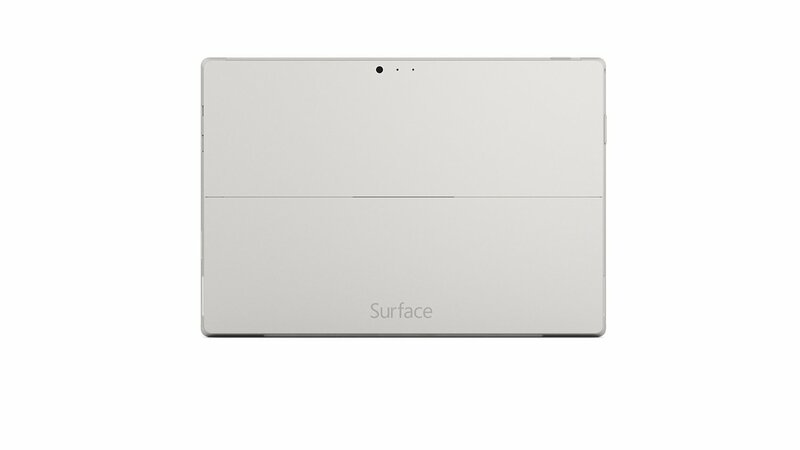 Covered in premium silver, the design has an elegant and classy aura which is clearly well planned out by Microsoft. The body is now thinner and weights lighter than every Laptop in the same range highlighting its Tablet-side without sacrificing performance. Included in the box is the pressure sensitivity touch Surface pen which is perfect alongside program like Adobe Photoshop if you aim to get one. Powerful as it is, the Microsoft Surface Pro 3 outperforms all the Tablets and the same league Laptops by miles. With 4th generation i3, i5, and i7 processors at your disposal, its performance is second to none leaving only dust behind for those who follow along with 4 or 8 GB memory. 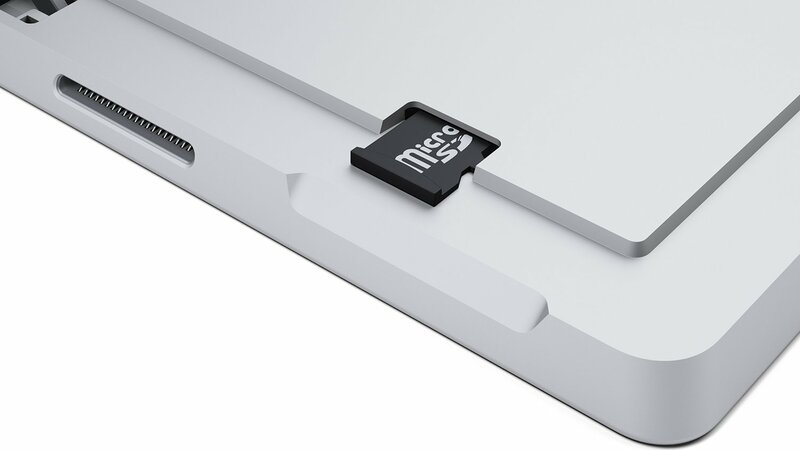 For storage option, you’ll have 64GB, 128GB, 256GB, and 512GB to choose from with 128 variant to be the most popular. Judging by its versatility and size, the hard disk choices are more than enough to store your favorite programs across the globe without having to carry unnecessary weight. The touchscreen and pen also work like a charm in every task keeping you wondering what creations you will make next. Stereo with Dolby lives up to its name providing quality sound sided with 1080 HD video camera working flawlessly during your video conference session. Some might argue about the battery life, but if we take into account its capacity, it is more than enough at 4-5 hours of switching between working and gaming. Microsoft Surface Pro 3 is, by far, the best of its kind. Versatility and powerfulness are the best two keywords that define its performances and capabilities. If you define your “perfect” with the same words, Surface Pro 3 is the device you can’t reject. It is, now, the time to make the choice that defines who you are or who you want to be. Do you want to be powerful, yet versatile at the same time? Microsoft Surface Pro 3: The Windows Tablet that can replace your Laptop Computer. 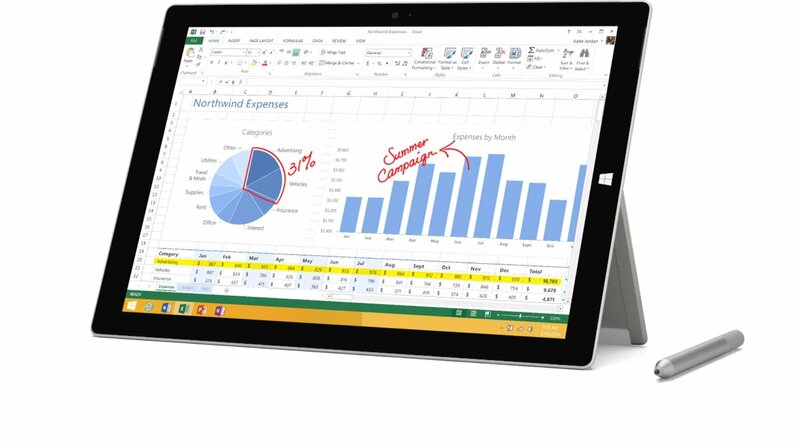 Microsoft Surface Pro 3 512GB i7 W10 SC EN/XD US/Canada Hardware. Windows 10, 12-Inch Display, Intel Core i7 1.7GHz Processor, 512 GB Flash Storage, 8 GB RAM, 1.76 pounds. 36W Power Supply and Surface Pen Included; Keyboard sold separately. Intel Core i7 – Everything the Core i5 can do, plus: Professional HD video editing with programs like Adobe Premiere Pro CC3. Using professional-grade apps like Visual Studio. Design and 3D modeling with programs like AutoCAD. The power and performance of a Laptop Computer: Built to handle even the most intensive of tasks, Surface Pro 3 has a 12 inch Full HD Plus screen, fully functional keyboard, and multi-position Kickstand. 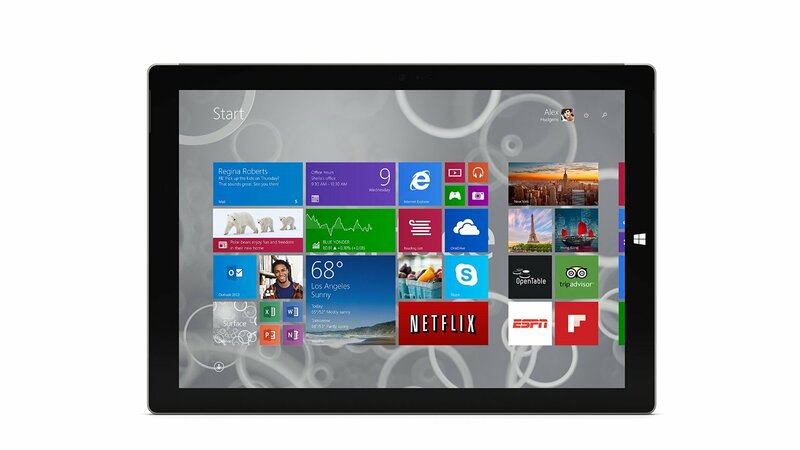 The best of a Windows Tablet: A responsive, vivid touchscreen, stereo speakers with Dolby audio, and two 1080p cameras. Make video conferencing or watching movies better than ever. Runs Windows, Office, desktop applications, and browsers: Surface Pro 3 comes with Windows 10, so you can use all your favorite touch applications and desktop software, like Office, and even ask Cortana to remind you about important events. Fantastic pen experience: Surface Pen introduces an entirely new, yet remarkably natural, way to mark up documents and take notes in your own handwriting. Surface Pen comes with every Surface Pro 3. It feels just like a real pen. One click to OneNote: With the click of the Pen, a blank sheet is available for quick notes or sketches, even if Surface is asleep. Palm Block technology: Relaxation your hand as you write without leaving a trace. Light and thin: Weighs just 1.76 pounds and only 0.36 inches thin. It’s the great Windows Tablet to take with you wherever you go. Improved battery life: With up to 9 hours of battery life for web browsing, you can focus on being productive for longer. 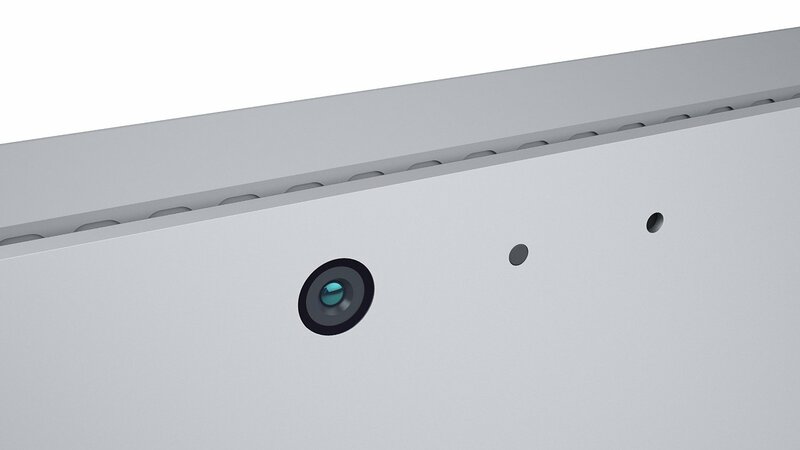 HD cameras: Take crisp and clear videos and photos with the 5 MP HD cameras on the front and back of your Microsoft Surface Pro 3.